A jury ruled this afternoon in favor of Google in a lawsuit filed by Oracle against the search giant. Oracle claimed that without permission, Google copied more than 37 Java APIs, and 11 lines of Java source code for the open source Android operating system. Oracle originally brought a similar suit against Google back in 2010. During that trial, Google said that APIs cannot receive copyright protection, and that its use of Java was covered under the doctrine of fair use. The judge agreed, and in May 2012 the case was dismissed. The judge's ruling essentially rubber stamped what the jury concluded. Oracle won its appeal, and the case was remanded back to district court where Oracle sought $9.3 billion from Google. All that the case could have been about was money, since Google had already announced in December that starting with Android N, it would be replacing Java with OpenJDK. That happens to be the open source version of Java. 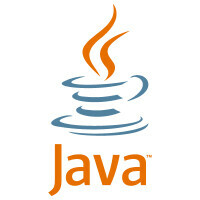 Using it would allow Google to employ Java for Android without requiring permission from Oracle. With Google's victory another win for its 'fair use' theory, Oracle could have decided to walk away and call it a day. Instead, the company says that it will appeal the jury's decision. Under the doctrine of fair use, unlicensed use of copyrighted material is permitted under certain circumstances. Oracle. It's always Oracle IMO =_=. Yes. Also, Java is crap. Oracle is after Google for using some of Java's API name calls. Not the code itself. As a matter of fact Google never used Sun's Java for Android, they used an open source version for Androids runtime (VM). Oracle (Sun's) java is only used by developers to make apps, and build Android itself. Oracle doesn't have a leg to stand on for this one. So to answer your question, Oracle is at fault for going after Google. The OpenJDK change is for everyone else who complies Android and makes apps for Android. It has nothing to do with Android and it's runtime VM. It's not hard at all. Oracle. Oracle can't have it. Their entire business plan for FY2016 to FY2026 is to milk Google using Sun's Java. The main reason for buying Sun cooperation in the first place. It's very hard to introduce new product when you have destroy your business associates trust. Hmm if this was overseas, Google would be getting punished. I'm starting to think Google's paying some people off. Google has gotten away with too many things for it to not be true. Maybe, just maybe, they make good business decisions and have a great legal team. Stop. He's in enough pain over the verdict already. Yea, I don't even know how he typed that message. I mean its amazing enough that he can comment here with his head so far up his own a**, how indeed did he manage to do that with so much pain as well? No, I'm not in pain at all. Ha ha. No, not at all, obviously. Plus, they were completely in the right, here. I know for real, those respectable uncorrupt governments like China and Venezuela would have gave Google their due justice unlike over here in the tyrannical US. Damn you Google! You paying off jurors now? I wish I was on the jury. You either know nothing about the case in question or an avid Google hater! To let Oracle win will set dangerous predicates. Which would hurt a lot of independent software developer. Sellin' like a felon, aren't you? Because apparently you believe Google is guilty of literally everything they are accused of, and any outcome other than a guilty verdict has to be corruption. ಠ_ಠ What you what you want isn't justice, it's pain and punishment regardless as to if it's warranted or not. Well, often; as one of the world's richest corporations people come after you whether or not they are correct. As an Apple fanboy, you should be well aware of that. So cool your keyboard off and relax. They're guilty of the highest crime in his eyes - besting Apple. Besting how? They aren't in a competition against one another. In fact, they are more ally than enemy if you consider the majority of profits Google makes in mobile are through IOS. Besting by coming out with a better product in a competing market that people choose more than 4 to 1 more often. It looks him. "Besting by coming out with a better product in a competing market that people choose more than 4 to 1 more often. It looks him." Ummmm....there are a lot of factors you are forgetting when posting this. 1. Google only "licenses" Android, they don't necessarily "offer" much in the way of hardware. 2. Google didn't produce Android, they bought it from an entity (Named Android I believe) in 2005. 3. Much of the reason Android holds such a tremendous margin in terms of market share simply comes down to one thing, price. Android handsets on average sell for about $164 USD, as opposed to Apple's handsets at nearly 500 a pop. The fact is, Android is a cheaper option for most of the 83% of its users, nothing more nothing less. Of course there are exceptions, but for the most part price is the determining factor. Ever wonder how Apple can have below 20% market shareand still make 90% of all mobile profits? There it is ^_^. 4. Better is subjective, especially when it comes to software. I prefer IOS, you prefer some forked version of Android. Even though they are fundamentally different, they function basically exactly the same. Since functionality isn't lost between either, any input becomes subjectively driven. Stop with the Google bought nonsense. That was over eight years ago, and Android has been rebuilt many times since. OSx was bought also, who cares? The price of Android handsets is irrelevant, since even lower midrange devices offer not than enough performance and function. Better is subjective. Numbers aren't. And it burns him to the core. It doesn't you, and I realize that. know the dude you're referring to is being irrational. I just want everyone to understand that no one is "better" OS wise. Honestly I want Google as well as Android to do well because competition benefits us all as consumers :D.
That's not enough. We need a viable third alternative. And maybe a fourth. Unfortunately, that's not happening soon. I had hoped to be on WebOS phone number three or four by now, but Palm and HP bungled that for good. Just so long as you recognize the Mzy will cheer for any news that's bad for Google, and decry any good. And that you know his motivation. As a short term Windows 10 mobile user, I thought that could've been the third option. The Surface Phone might be promising IMO. They just have to finish the IOS Bridge project before it's release. But knowing MSFT, that probably won't happen. Oh, and I know exactly how Apple maintains its high profit position - by keeping the hardware cheaper, with the prices high. And so far they've been able to do that because of brand name, but that only lasts so long. People are realizing that they can get as good or better devices for significantly less. It's put pressure on Apple. We've seen them introduce lower priced devices the last couple of years. Their ASP has dropped. It's a bubble, and all bubbles eventually burst. That's true. But the "as good or better part" largely depends on OS of choice. Only one OEM produces IOS, so we as consumers have to get hardware from Apple. If that ZTE Axon 7 came with the option to use IOS, I'd be all over it like white girls on Justin Bieber's junk :D. Sadly it doesn't. I'm still gonna pick one up though b/c reasons :-D. Another thing to consider is the market as a whole. The only OEMs to come out EVEN was Samsung and Oppo apparently. Everyone of these phone makers are feeling the effects of market saturation. People are holding onto their phones longer, not switching OSes. Remember, people like you and I are exceptions. We upgrade phones every year or so. The majority of consumers are within contract (2 yrs.) or satisfied with their current device. I agree that Apple has relied far too much on its branding in the last year or so, but it's not as if they've completely alienated the market the way BlackBerry did 2007.